Analytics Are The Root Of Success | ASTRALCOM - Content Strategy, Conversion Marketing and Customer Acquisition. Analytics drives business success. At least this is what Adobe says and who are we to disagree? They are spot-on. While marketing analytics are generally easy to access (either from a web analytics program, or directly from each channel’s metrics), marketers need to understand the value of a proper analytics strategy and how to leverage various data within their analytics program. In this whitepaper from Adobe, you’ll read about the top analytics tips for 2015, how to measure ROI, improve the visitor experience and improve your bottom line. 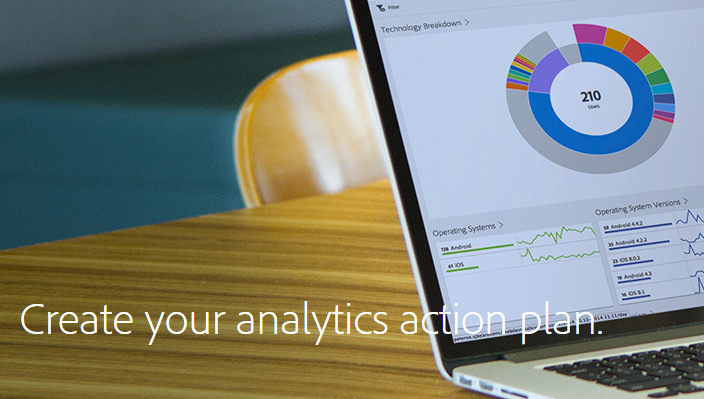 Need help making sense of your analytics and how to leverage that info? ASTRALCOM’s CTO, Erik Jensen is Google Analytics-certified and is happy to help. Just click or call us at 800.536.6637.